In 2011, plans were drawn up for all the approach roads into Swinford. Those plans can be viewed here. 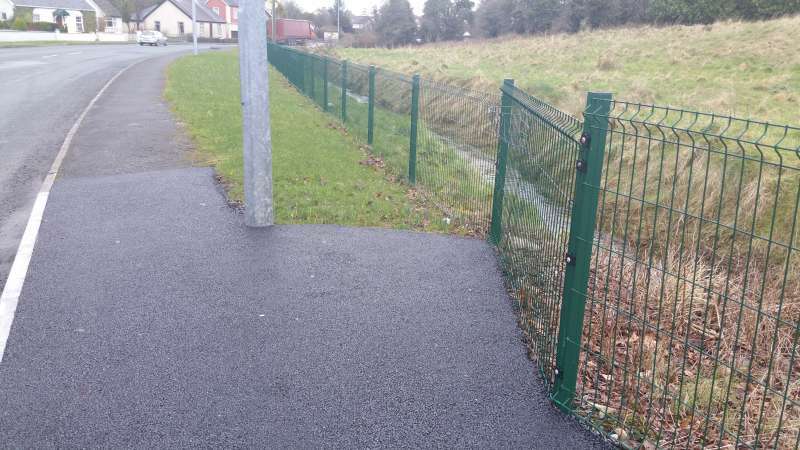 In 2014 Mayo Co Co begun improving the fencing and wall along Kilkelly road. They also began extending the footpath from the playground and Brabazon woodlands up to the newly developed Woodlands estate. 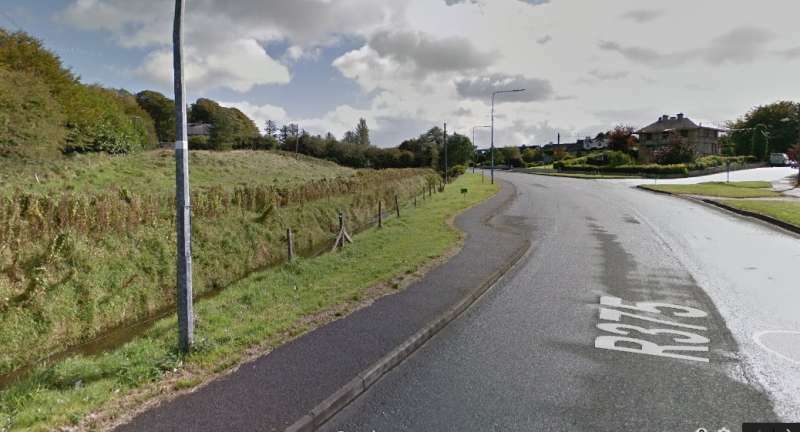 Remember how this section of Kilkelly road looked like before the revamp? Its hard to believe how it looked like before work began! As you can see from the photo, there has been a huge transformation. This is what it looked like in 2012, before work began on the project. 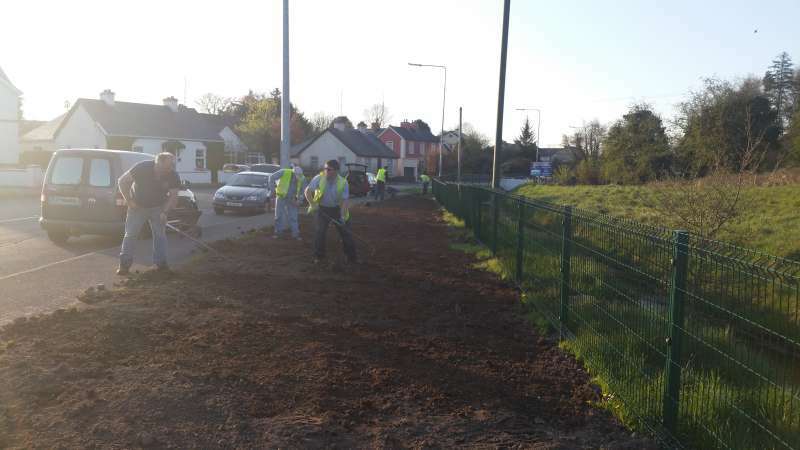 Swinford Tidy Towns undertook the Kilkelly Road Reclamation project in 2015. All the major construction work was undertaken by the Swinford area council workers of Mayo County Council. Different aspects of the project were sub contracted out to various companies. In the summer of 2014 work began on the fencing all along the stream. The wall was also built and the footpath was extended all the way to Woodlands estate. In the Autumn of 2015, while we were planting bulbs in various locations around Swinford, we planted a couple of hundred along here. We hope that they all come up in the Spring every year! In the Spring of 2016 the wall was capped and plastered. The footpath was also finished with a final coat of tarmacadam. As you can see, there has been a huge transformation from beginning to end. This is where the new footpath extension joins up with the existing footpath into town. Hmmm, maybe we could put a bench or a planter here, what do you think?